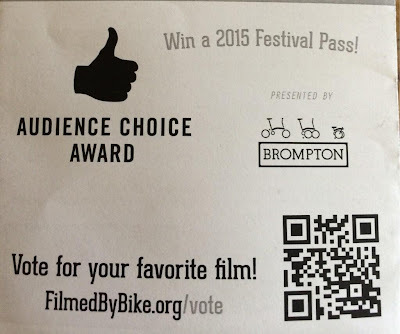 Vélo Vogue: The Spinster is in the lead for Audience Award at Filmed By Bike! 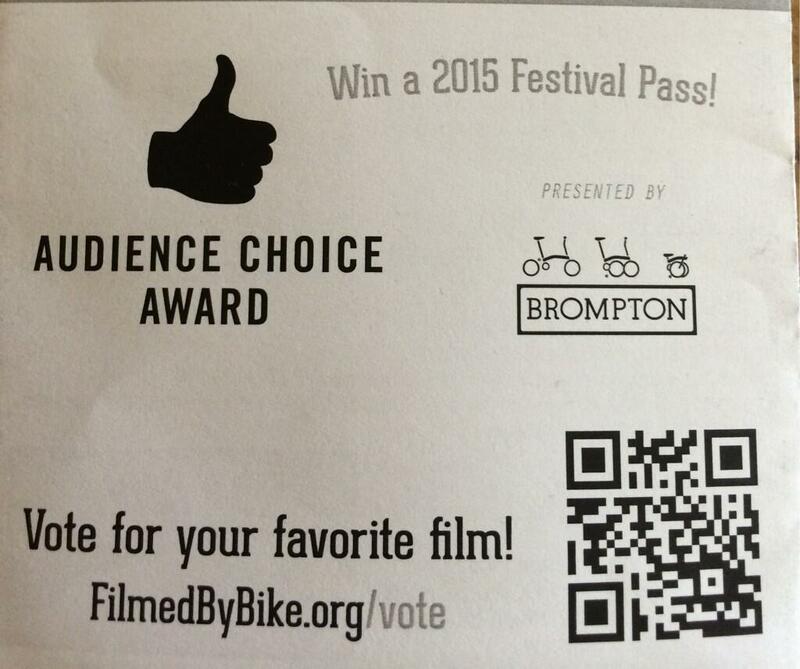 The Spinster is in the lead for Audience Award at Filmed By Bike! And tonight is the last night you can check out the film at Filmed By Bike at the Clinton Street Theater in Portland. Please come on out and meet us! We'll be there from 6 pm onwards with Spinster merchandise, including Meli's limited edition poster, Maneater shirts from Nooworks, and spoke cards. The Spinster screens at 8 pm. Come check out the film and VOTE FOR THE SPINSTER!